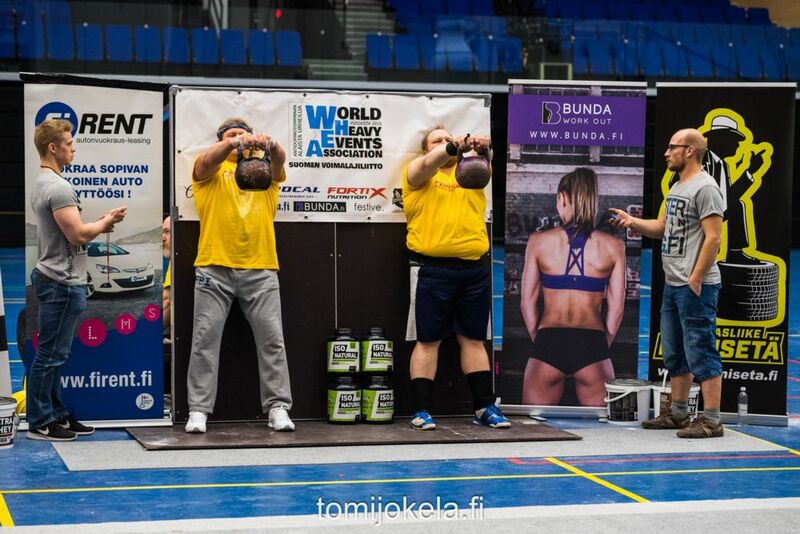 Bridgeport’s Jimmy Compton recently traveled to Northern Europe where he participated in the World Heavy Events Association’s U.S. World Grip Championships. 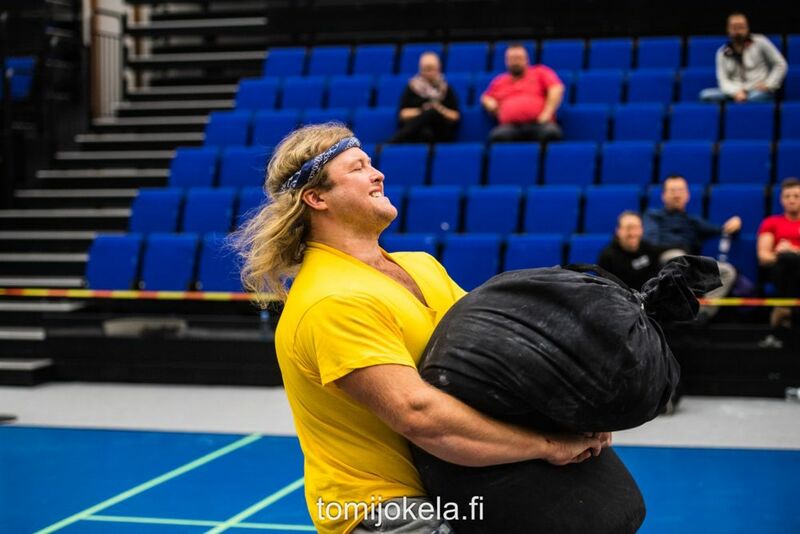 Held at Elenia Arena in Hämeenlinna, Finland, the event is a legitimate drug-free competition that features events such as sack loading, deadlifting and rolling thunder. Compton finished the mid-October championships in second place. He’s happy about the accomplishment, but happier about the inner strength and series of events that took him there. 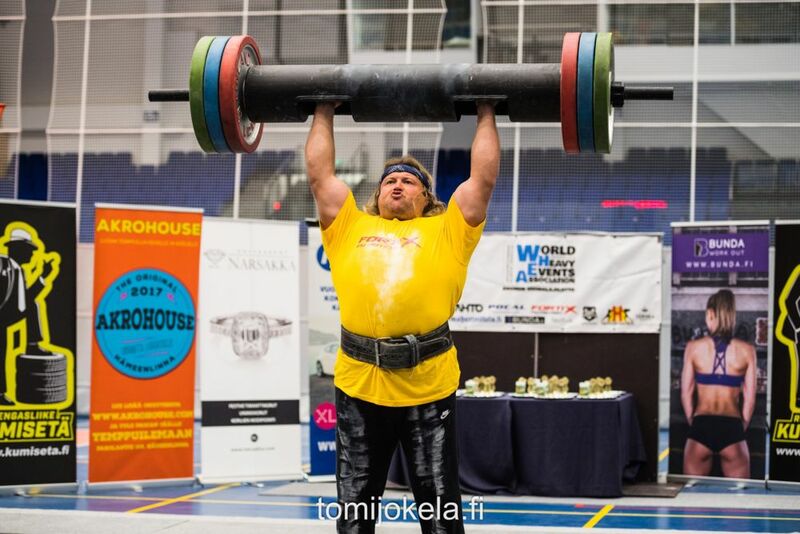 In August of 2013, Compton placed second among 11 athletes at the World’s Natural Strongest Man Federation Strong Man Contest at Bridgeport Recreation Complex, qualifying for the World Championship WNSF Strong Man in Hungary. While training for the November 2013 competition, he said he didn’t feel he was seeking the right path. The athletes weren’t getting drug tested and it was important to him to seek and attain a title through a proven drug-free organization. But with ongoing support from his parents and an anointing on his life to use physical strength to minister, Compton became a member of a Christian street team through Freedom in Christ Ministries, witnessing in Kentucky and Indiana. It was through the street team that Compton learned about WHEA and he was interested. His aunt placed a phone call, getting his foot in the door and he thereafter tested and signed a contract to compete in 2017. But a month before the championships, he pulled both calf muscles. “I couldn’t even walk. I thought my career was over,” he said. Compton did physical therapy with Andrew Spatafore at Affiliated Physical Therapy. 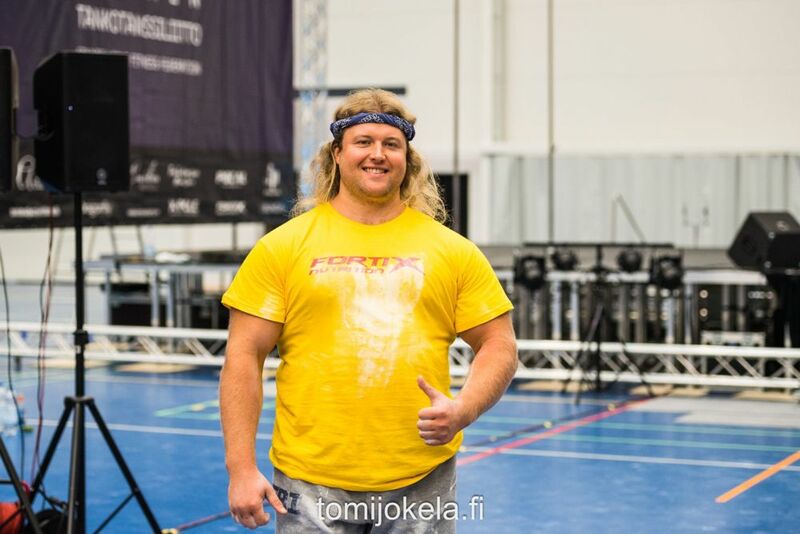 The therapy was successful, but Compton said it was his cry to God that enabled him to participate in his first event in Finland in October of 2017 – a truck pull. “I got on my hands and knees and told God, ‘I’m your vessel. You’ve got to use me.’ For Him to use me, I had to be broken,” he said. Compton arrived at the WHEA games and crushed the truck pull. “But I didn’t have anything in the tank after that – and I finished last in the games,” he said. Compton realized, though, that he didn’t have to win or qualify to gain favor with the locals. His true desire was to shine for God and to witness. With his newfound friends, he received that opportunity. While doing so, he met some people who were instrumental in his continued training. 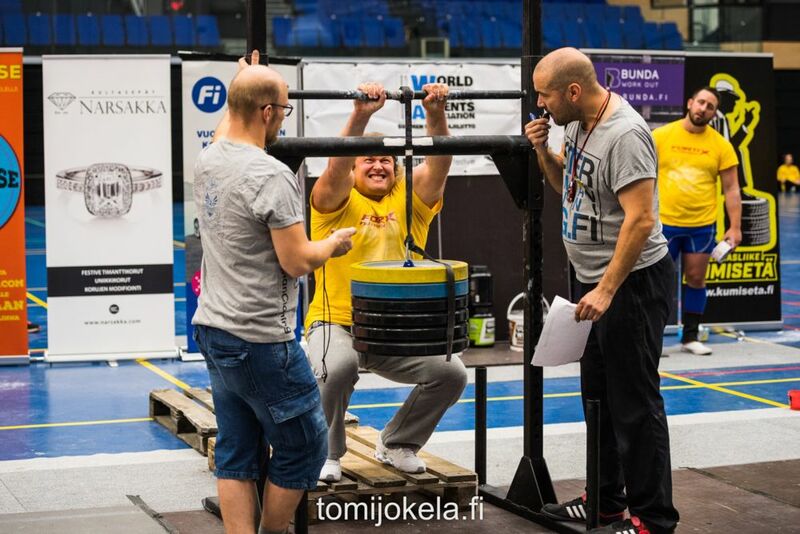 He met a young lady from Sweden who happened to own a gym in Denmark, where he was able to train with official equipment for the championships. He watched a competitor lift rocks and was inspired to train by doing the same. Upon returning to the U.S., he built a rock fence for his mom’s property; carrying 100-pound rocks to complete the job. Along the way, he discovered that his maternal great-grandfather – from northern Spain – was known for lifting rocks and trees. Compton, of course, returned to the 2018 games. “The first day was seven hours long and for the first two events, I came in last place,” he said. By surrendering himself to God’s will and letting His strength flow through, Compton pulled out a second place for the third event of the day and a first place in the day’s last event - sack loading, for which his rock lifting had adequately prepared him. On day two of the championships, he competed in log press and deadlifting. For the former event, he trained with a custom-made steel log made for him by Quality Machine. For the latter, his street team days paid off. Day two was on a Sunday, at the time when Compton would have been in church at Bridgeport United Methodist Church. Compton was honored to receive a second-place award at the ceremony which followed, but anytime he can serve as a vessel to demonstrate God’s strength and power, it’s a bigger honor, he said. 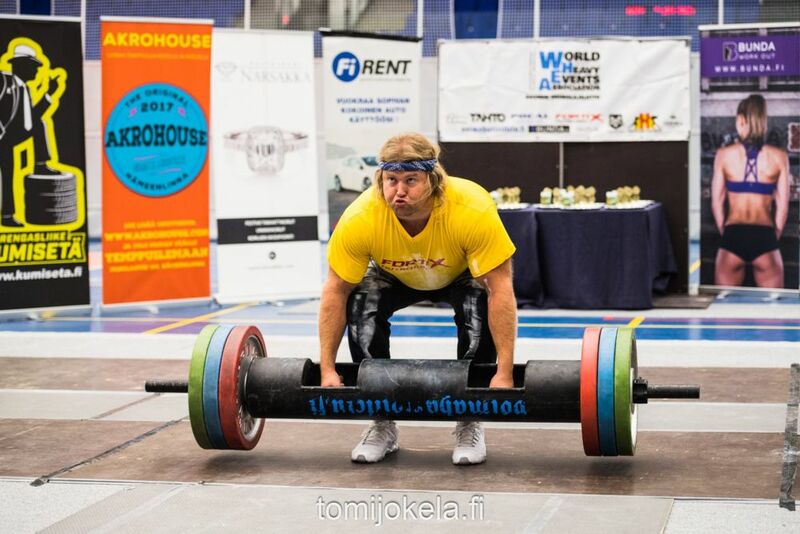 Editor's Note: All photos taken at World Heavy Events Association’s U.S. World Grip Championships are by tomijokela.fi.